Planning a countryside escape? With our days and nights getting colder, there is no better time than the present to enjoy a countryside stay in a cosy and quaint hotel. Add a fireplace into the equation and it becomes all the more blissful…especially if you put your feet up and enjoy the roaring flames in the privacy of your own bedroom. 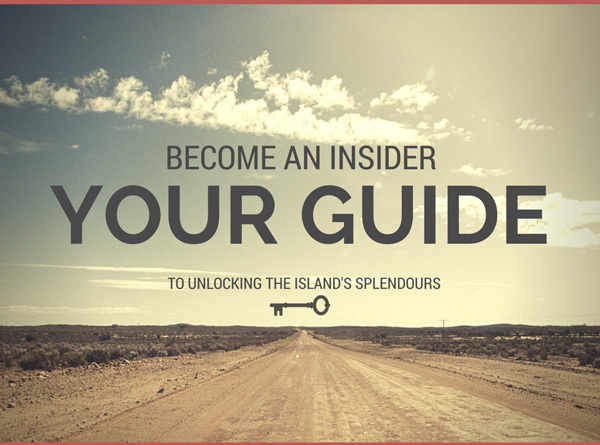 Simply read on for the My Cyprus Insider pick of some heavenly rooms where winter relaxation and respite takes on a whole new meaning! 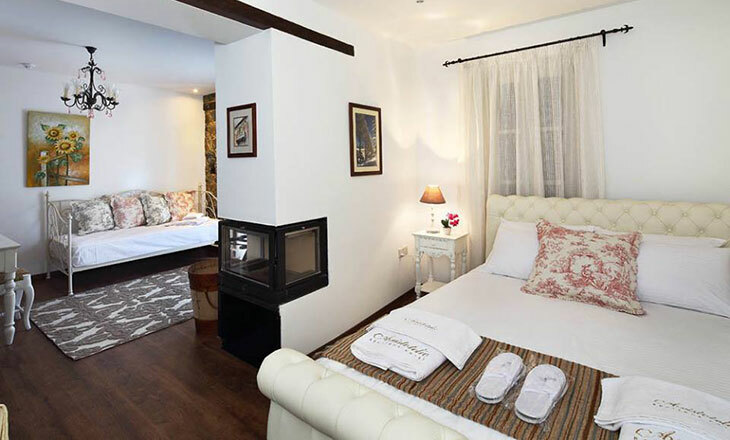 Taking pride of place in our presentation, this gorgeous hotel is tucked away in the sleepy village of Pedoulas in the heart of the Marathassa Valley. Once a hotel in the early 1900s until 1940 (opened up by Aristotelis Papoute), the place was a hub of activity until its closure. 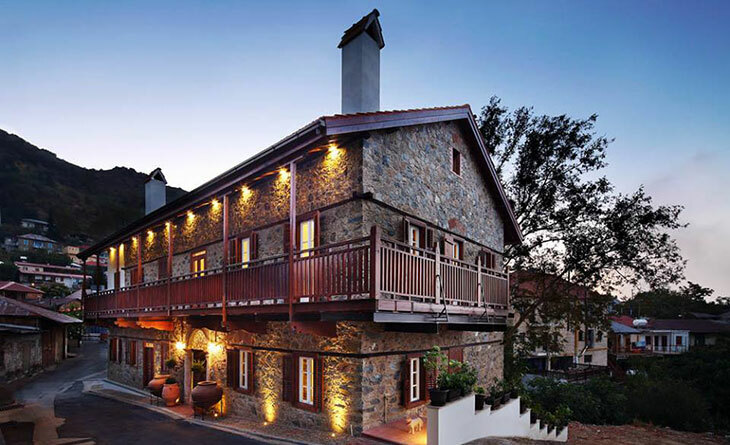 Spotting its potential years later, a local couple going by the name of Areti and Panikos Anastasiou, decided to buy the building after their wedding over a decade ago, as they worked hard in the years that followed, renovating and restoring it to its former glory. 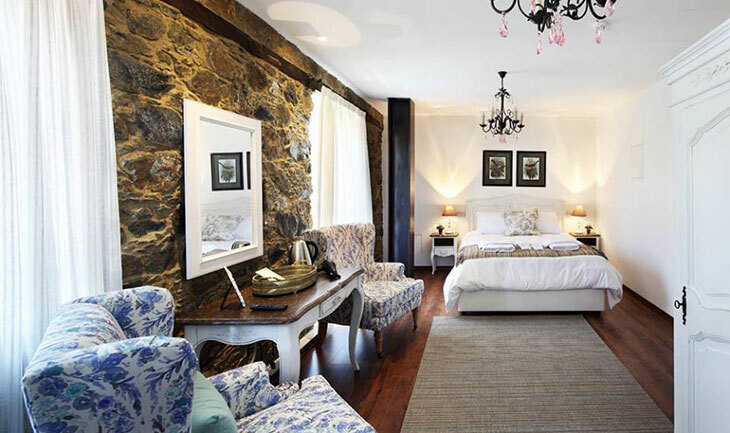 The Aristotelio Boutique Hotel oozes French country-chic charm and gorgeous rustic appeal as all things traditional are given a modern flair. 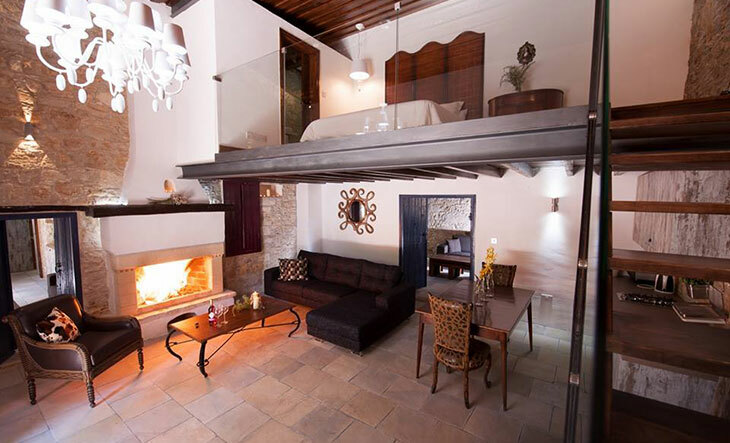 With fireplaces in each and every bedroom (8 in total), the restaurant also exudes warmth with a roaring fire setting the atmosphere as you wine and dine. Ask for a room with a jacuzzi and you’ll be lost for words as you heat up on cold winter nights and really let the stress of the day, week and month, totally wash away! Fancy leaving the hotel for a countryside stroll? Go for a wander and you’ll catch a glimpse of the church of Archangel, included on the UNESCO world heritage list. Then there’s the nearby village of Kalopanayiotis to enjoy, running along the beautiful valley of the River Setrachos, with its sulphur springs, restored watermill and famous UNESCO monastery of Ayios Ioannis Lampadistis. 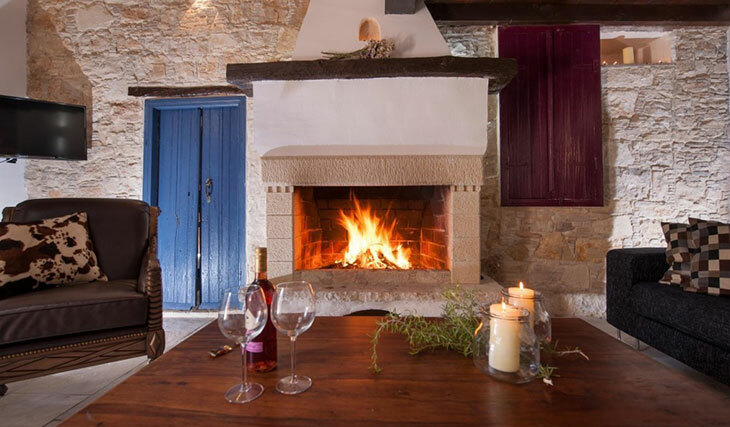 Fancy a cosy getaway in the heart of the island’s winegrowing region? 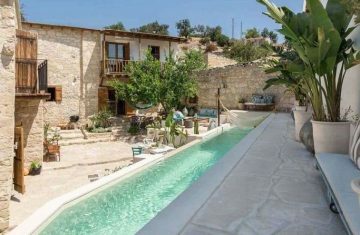 Then make a beeline for Oinoessa Traditional Boutique Guest Houses tucked away in the picturesque village of Lofou. A complex of two luxurious stone built houses with deluxe studio apartments complete with their own kitchen area, a few boast their own fireplace complete with a homey living room area where you’ll certainly keep warm by the flames. 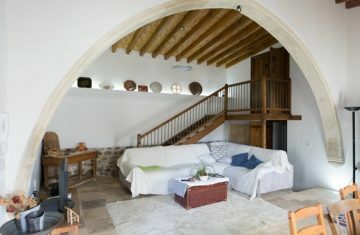 A building that dates back to the middle of the 18th century, all of the studios have been lovingly restored by local artisans alongside the family owners, keeping all original features intact with a great mix of local stone and wood. Large patio doors from the studio living rooms lead out into a tree lined courtyard for moments of relaxation and respite while you can head out for a walk in the village and put your best foot forward through the maze of cobbled streets that tell tales of a rich winemaking history. Set over rolling hills where breathaking views abound and history comes to life around every corner, be sure to catch a glimpse of the neoclassical primary school and take in the panoramic views from its impressive yard. A real haven in the quiet village of Askas, you’d be forgiven for having no idea that this place exists, tucked away in the hub of the village. 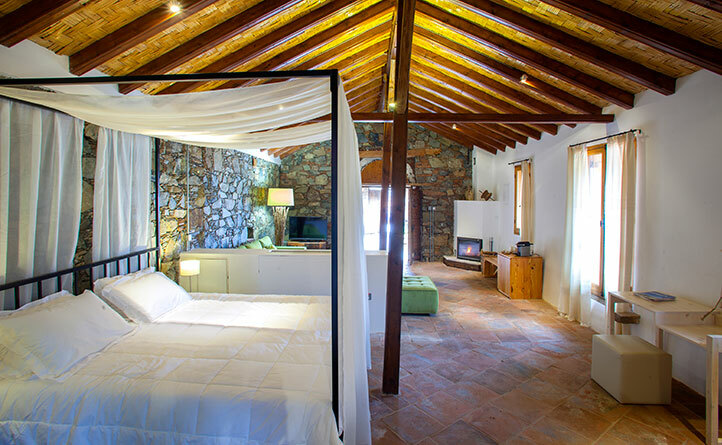 But word has fast spread around the island since this place first opened last year, with visitors from near and far having descended on the hotel to put their feet up in cosy but cool traditional style. 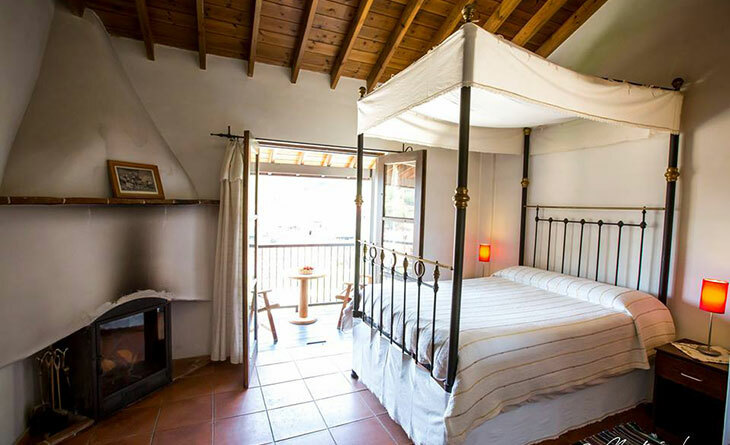 Lyhnos is as cosy as it is quaint with a history that dates back two hundred years, with a gorgeous village house that was passed down through the generations who eventually added new rooms to what was one of the most well-known mansions in the villages. The house was recently bought over in a state of abandonment while still exuding its past charm, and was restored with heaps of artistry, love and respect for the past, highlighting its architectural splendours. 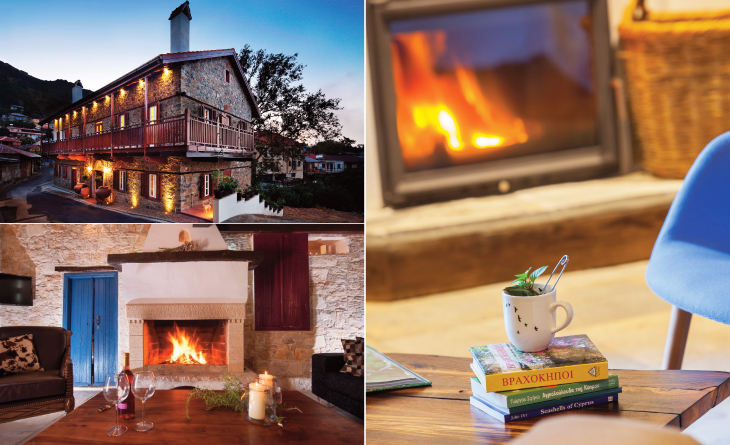 Exceptionally cosy as modern amenities and streamlined contemporary furniture and décor mix with tradition, you can take your pick from four rooms, three of which have fireplaces and cosy seating areas where you can indulge in moments of pure bliss. Once the hunger pangs kick in, indulge in the wonderful food dished up at the Lyhnos tavern, offering a taste of local cuisine at its best. 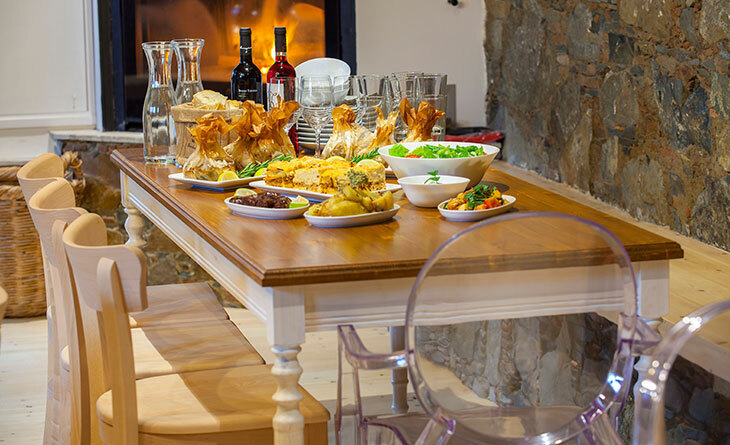 And yes, there’s a fireplace to keep you company as you dine too! 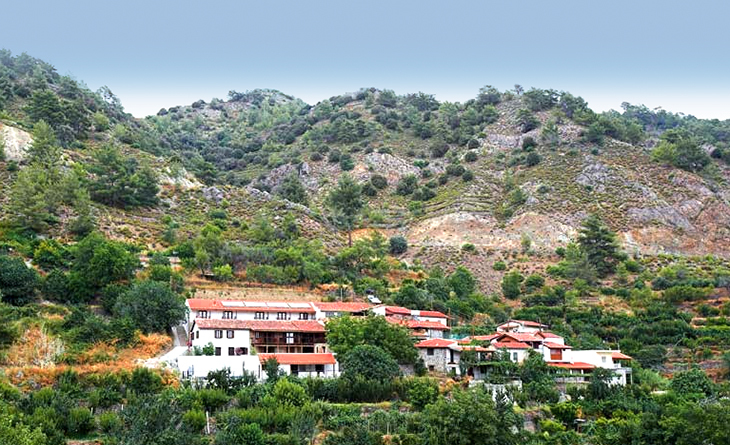 When you fancy an escape from the hotel grounds, you can head off to explore other villages in the Pitsillia region including the ever popular Agros. 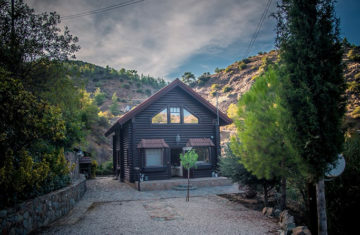 If you really love all things traditional, then you may want to put your feet up for the night at Ambelikos Traditional Agro Hotel, in the village of Potamitissa in the Limassol district. A really typical agro tourism hotel, it’s all about tradition here, with furniture and décor that will take you back to the days of old. 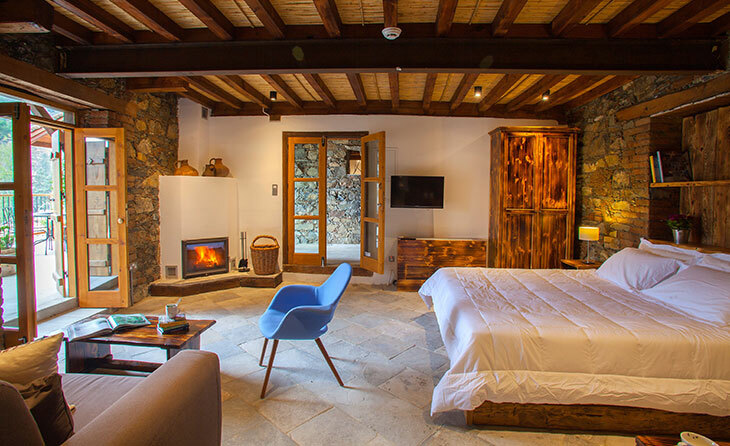 Expect rooms that look as though they’ve stepped out of a history book, oozing Cypriot character and charm, all set within a cluster of traditional stone houses dating back to the late 1800s. And what some people aren’t aware of, is that the place revives the 150 year old history of an old local family, the Grigorious, pioneers in the production of smoked pork products. With a variety of rooms on offer and a few that boast fireplaces by old fashioned iron beds, it’s the perfect spot to snuggle up to your loved one. When you feel it’s time to unleash the explorer in you, just head out into the surrounding countryside and take in the glory of the pine clad rocky mountain peaks. When wandering around the area, take in a bit of the island’s religious heritage with a visit to the church of the Holy Mary and the chapel of Panagia Chrysomyrousa just outside the village. Love a glorious glass of vino? Follow the Pitsilia Valley Wine Route (number 4) with plenty of boutique wineries to pop into along the way.